WHAT: The United States Mint and the National Park Service will hold a launch ceremony for the America the Beautiful Quarters® Program coin honoring Voyageurs National Park in Minnesota. Event highlights include music performances by International Falls native Gavia Yount and local artist Darcy Sullivan. Additional ceremony participants include Boy Scouts of America Troop #150, Cub Scout Troop #145, Girl Scouts of America Troops #1150, 1151, 1153 and 1156 and Veterans of Foreign Wars Color Guard #2948. A coin exchange of $10 rolls of Voyageurs National Park quarters will follow the ceremony. The United States Mint will host a coin forum the evening before the launch ceremony—Wednesday, June 13, 2018, 5–6 p.m. CDT—at Kabetogama Lake Town Hall, 9707 Gamma Road, Kabetogama, MN. The coin forum is an opportunity for the public to learn about upcoming United States Mint coin programs and initiatives, and express their views about future coinage. 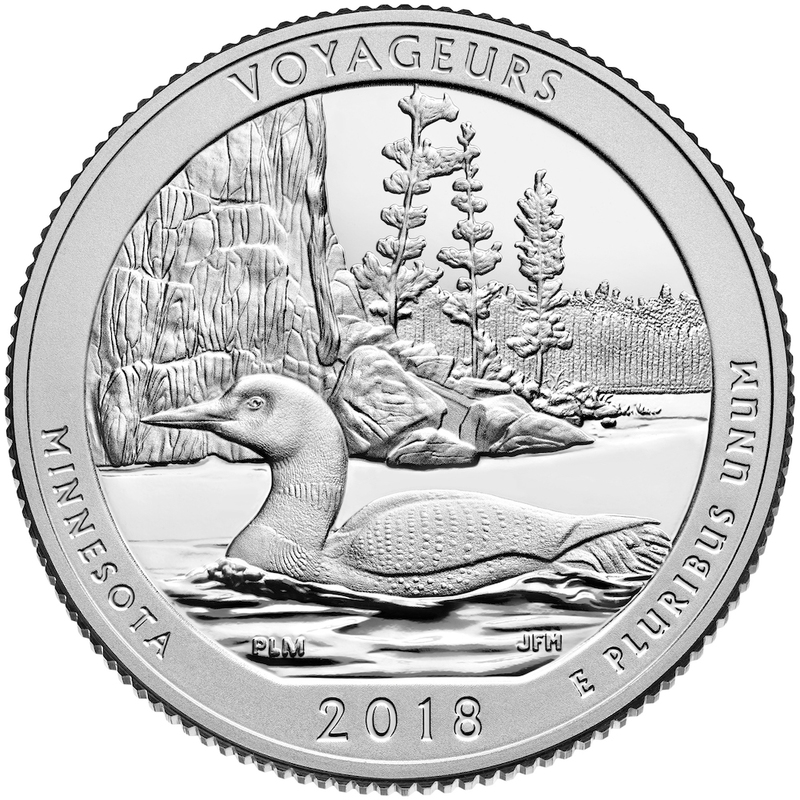 The Voyageurs National Park quarter is the 43rd release in the United States Mint America the Beautiful Quarters Program, a 12-year initiative that honors 56 national parks and other national sites authorized by Public Law 110-456. Each year, the public will see five new national sites depicted on the reverses (tails sides) of the America the Beautiful Quarters. The United States Mint is issuing these quarters in the order in which the national sites were officially established.